I am a huge fan of Swedish meatballs but so many of the recipes out there call for unique ingredients that I don’t typically have on hand, like lingonberries. 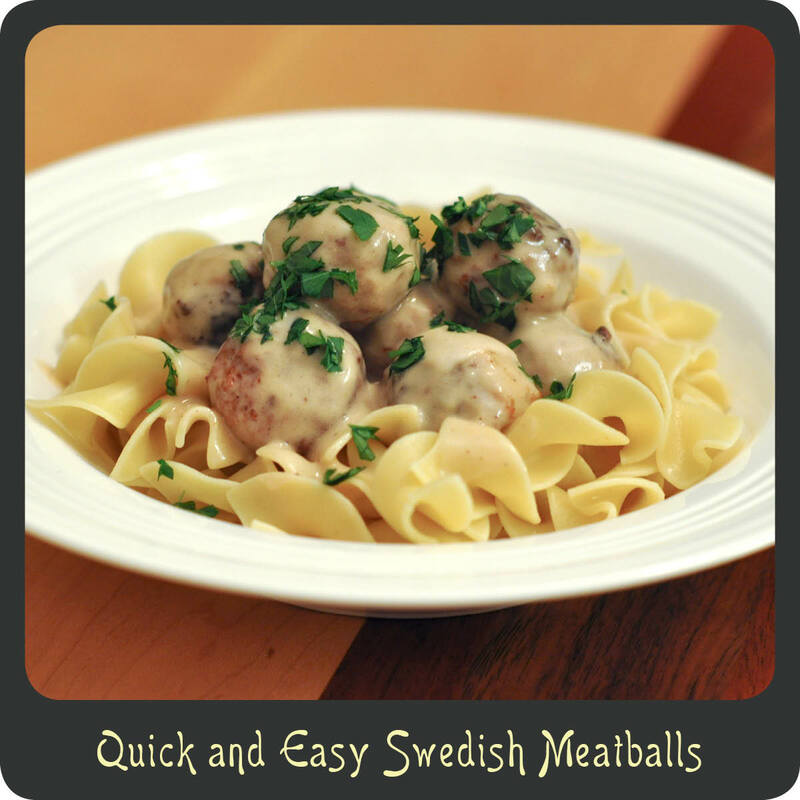 I was craving some Swedish meatballs and decided to whip up this super easy version using things I did have on hand. This recipe took less than 15 minutes to make, cost less than $10, and was a hit with the whole fam damily. (And that my friends, is the perfect recipe for a happy mom.) This is the ultimate in classic comfort food. Hearty, simple, and delicious! Melt the butter over medium-high heat in a large non-stick skillet. Add the meatballs to the butter and season with salt and pepper. Pan-fry the meatballs until they are a nice brown color all over making sure to move them around frequently. When the meatballs are thoroughly cooked, sprinkle them with the flour, stirring to coat. Add the beef broth and bring to a boil. Add the Dijon mustard and Worcestershire sauce mixing well. Slowly pour in the heavy cream and stir to combine. Allow to come to a boil and then reduce heat to low and allow to simmer until the sauce is the desired consistency. Taste the sauce and season as desired. Serve the meatballs over cooked egg noodles, top with additional sauce, and sprinkle with the chopped parsley.